For over 40 years, Venezuelan architect Rafael Araujo has been drawing the most beautiful illustrations of nature, entirely by hand. At an old drafting table he adeptly renders the mathematical brilliance of nature with just a pencil, compass, ruler and protractor. Araujo’s newest work will certainly be thrilling to those interested in adult coloring. His Golden Ratio Coloring Book, which has raised over $30k in crowdfunding in 5 days, features detailed renderings of the intelligent patterns found in nature, otherwise known as Phi, the Golden Ratio. This ratio, represented by the Greek letter ϕ, equals 1.618 and is commonplace in nature – from the hypnotic whorls of the chambered nautilus shell to the balanced proportions of butterfly wings. In this intricate book, Rafael applies the Golden Ratio to his geometric formulas and leaves the construction lines intact to highlight this natural mathematical framework. To back his project and score your very own copy of this coveted book, visit his Kickstarter page here. For over 40 years, Venezuelan architect Rafael Araujo has been drawing the most beautiful illustrations of nature, entirely by hand. At an old drafting table he adeptly renders the mathematical brilliance of nature with just a pencil, compass, ruler and protractor. Araujo's newest work will certainly be thrilling to those interested in adult coloring. 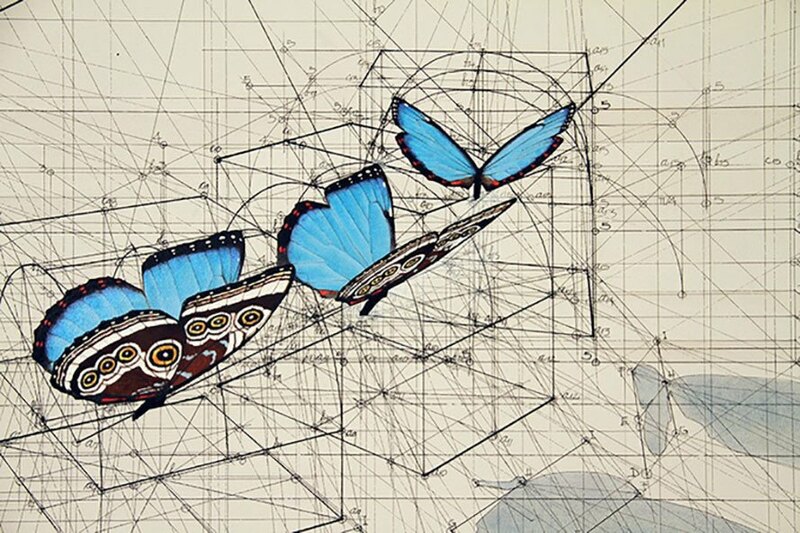 His Golden Ratio Coloring Book, which has raised over $30k in crowdfunding in 5 days, features detailed renderings of the intelligent patterns found in nature, otherwise known as Phi, the Golden Ratio. This ratio, represented by the Greek letter ϕ, equals 1.618 and is commonplace in nature - from the hypnotic whorls of the chambered nautilus shell to the balanced proportions of butterfly wings. In this intricate book, Rafael applies the Golden Ratio to his geometric formulas and leaves the construction lines intact to highlight this natural mathematical framework. To back his project and score your very own copy of this coveted book, visit his Kickstarter page here.